Rare Karloff interview about Frankenstein. Lon Chaney in The Phantom of the Opera (1925). Because we all need a non-portable Siri in our lives? I liked this better when it was called Furby. This video is very obviously staged (the girl keeps looking at someone off-camera), but why it was staged and what message the videographer hoped to convey was a mystery to me. But then I saw that the “Friendly” Atheist blogger thinks this horrid little child is the bees knees, and I realize: they actually think this is cool and funny and useful to their cause. I don’t expect that many of you need to learn to distinguish among and transcribe the many kinds of medieval hands found in old manuscripts, but Medieval Handwriting is still a must for medieval buffs. 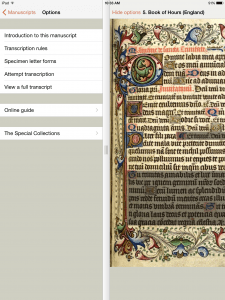 The app, available for Android and iOS, includes 26 religious manuscript pages. Each has an introduction, specimen letter forms, and a full transcription. 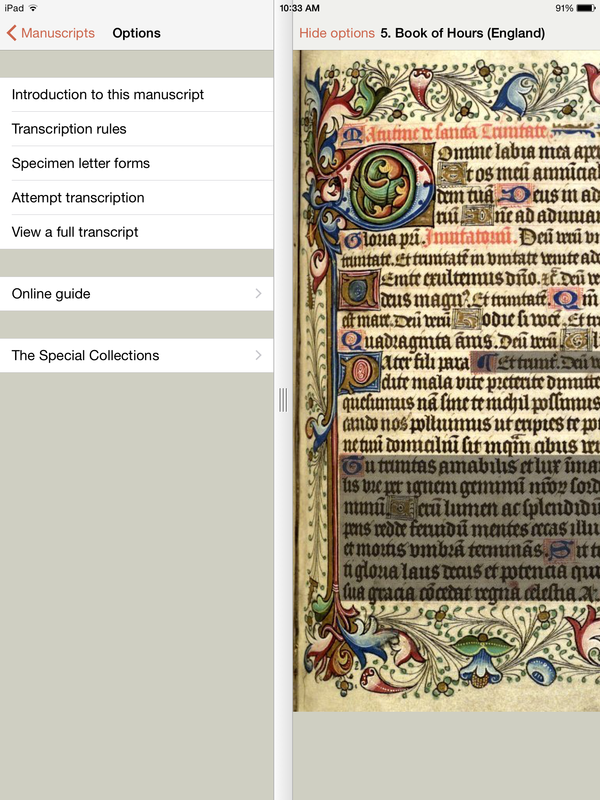 You can analyse the manuscript, enter your transcription, and then the app automatically determines if that transcription is correct. Any incorrect words are shown in red. The app was created as an exercise for postgraduate students in the Institute for Medieval Studies at the University of Leeds in West Yorkshire.